Fox is spinning a pathway to citizenship for Dreamers as a "major concession." It's not. 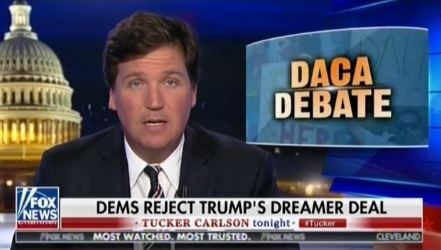 Home > Fox is spinning a pathway to citizenship for Dreamers as a "major concession." It's not. Over the past week, Fox hosts and pundits have insisted that the White House gave a “major concession” by including a pathway to citizenship to undocumented immigrants who qualify for the Deferred Action for Childhood Arrivals (DACA) program in its immigration proposal, ignoring the draconian aspects of the plan. Fox's servile "major concession" drumbeat is just another example of the network sacrificing context to push the White House’s agenda.